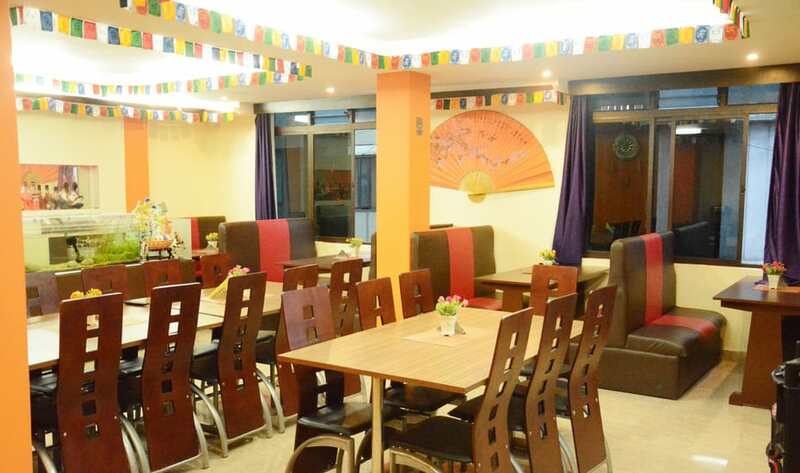 Located at an approximate distance of 2 km from Local Bus Stop, Hotel Linorri is a budget staying option in Gangtok, offering conveniences like free internet access to its patrons. Enchey Monastery is a local tourist spot and landmark, situated 4 km away from the property. Amenities such as television, air-conditioner, bottled/drinking water, a desk, sofa bed and attached bathroom with hot/cold running water are available within all the 20 rooms in this 2-floored accommodation. Airport Transportation, Breakfast Services, Laundry Facilities, Backup Generator, Room Service, Travel Counter, Doctor on Call, Security Guard, Parking, Currency Exchange. Cable/Satellite TV, Attached Bathroom, DVD Player, Television Room, Toothbrush/Razor on Request, Iron/Ironing Board, Bottled Water in Room, Air Conditioning Room, House Keeping, H/C Water. User reviews for "Linorri Hotel Gangtok"